12 feet S-W126 Packaging Dimensions 8.5 in. x 6.6 in. x 1.8 in. 12 feet S-W126 Weight 0.943 lbs. 8 feet S-W125 Packaging Dimensions 7.5 in. x 2.9 in. x 2.8 in. 8 feet S-W125 Weight 0.66 lbs. All models Outer Diameter 0.34 in. 1 answers What size strain relief for this cord? The P-H1200 and P-H1300 strain reliefs will work well with this cord. You would need to determine the chassis hole size for the compatible strain relief for your project. 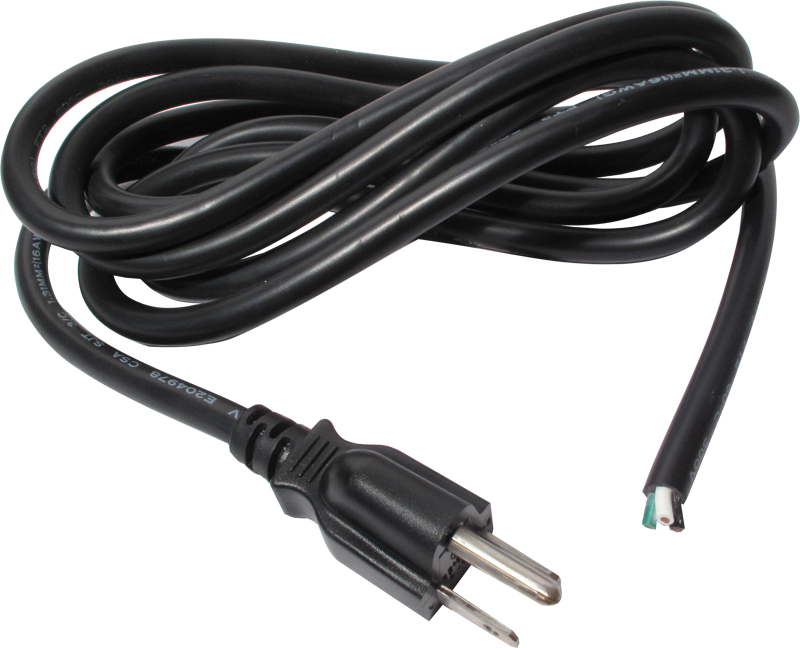 1 answers What is the width (diameter) of this cord? 1 answers Where is this cord made? These cords are made in Taiwan. 1 answers What is the voltage of the power cord? These are rated at 600V.